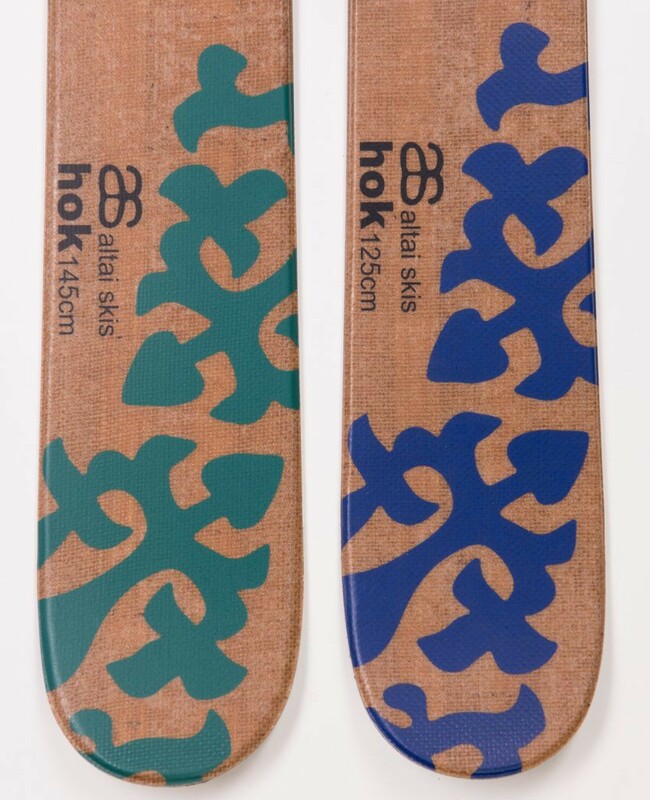 Hok, the original sliding snowshoe. Available in 125 and 145 cm. With OAC EA Bindings. 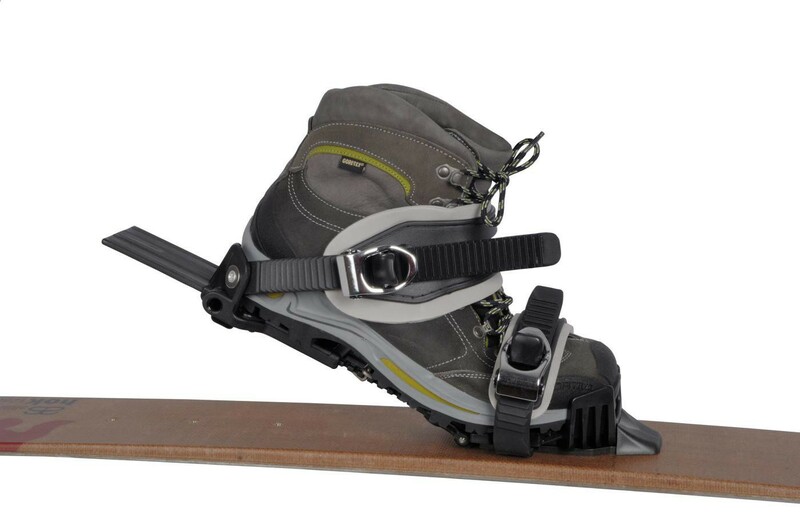 The Hok is designed as an easy to use skishoe for the backcountry. 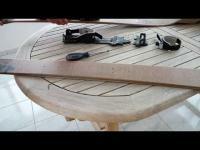 Hok's are a mix between BC skis & snowshoes, making them a great tool for all backcountry activities. Also professional workers like these "sliding snowshoes". 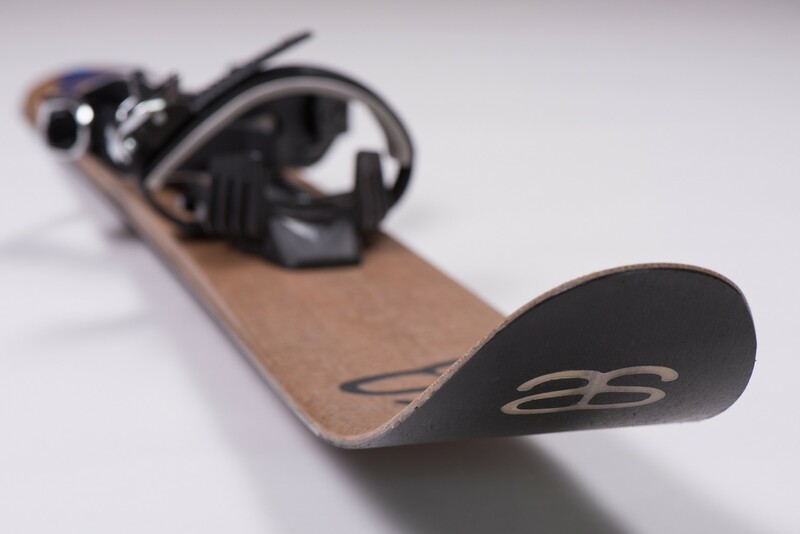 Its short wide dimensions make the ski incredibly maneuvrable, and the integrated clibing skin gives the Hok great traction for climbing. 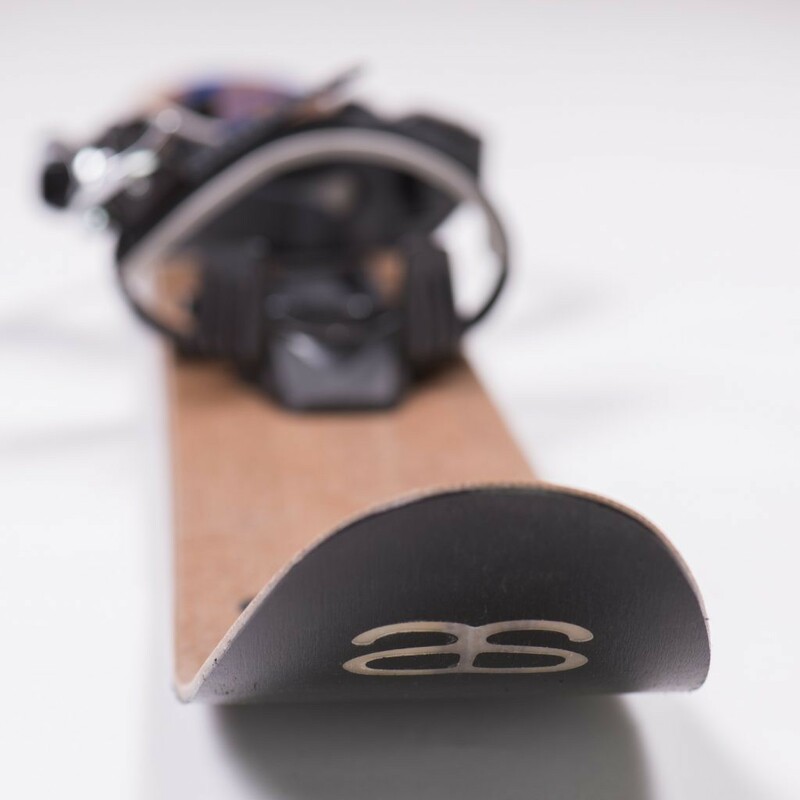 The right balance of running base and skin material makes the ski's downhill speed manageable and easy to control. 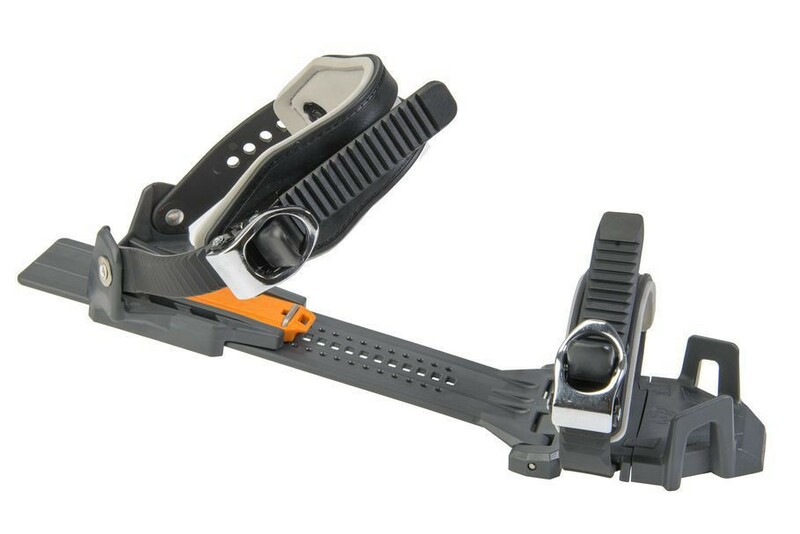 Bridging cross-country skis and snowshoes, the Hok combines the maneuvrability and ease fo use fount in snowshoes with the ski's efficiency of sliding forward rather than lifting and stepping with each stride. 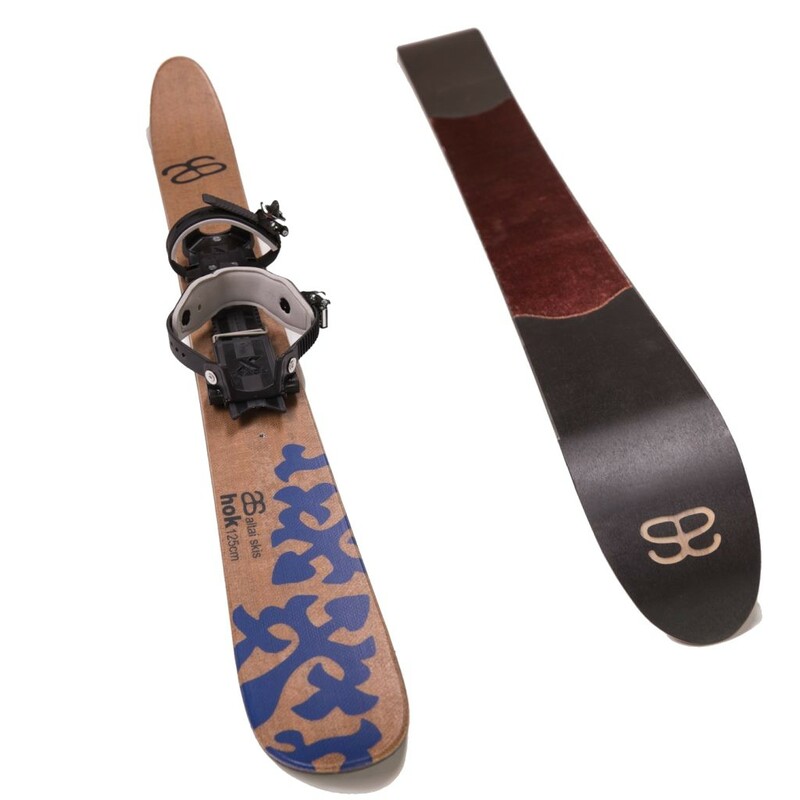 The Hok features a synthetic climbing skin integrated into the base of the ski, steel edges for durability, and a light weight cap constuction. In an effort to minimize our carbon footprint, we use, a sustainable paulownia wood core reinforced with a combination of organic natural fibers and fiberglass. Simple grafics and natural fibers combine with desigh themes from the Altai Mountains for a unique look. Available in 125 and 145 cm. With OAC EA Bindings. 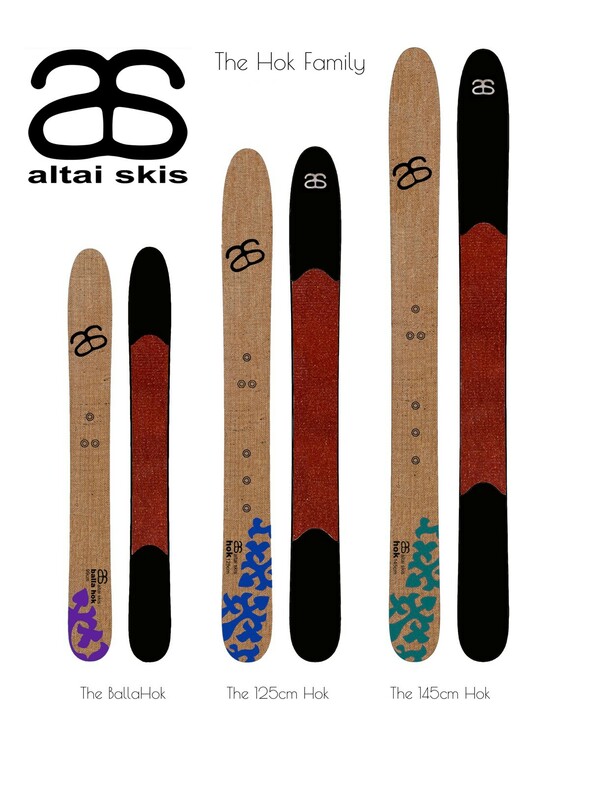 125 cm : 3240 g - 145 cm : 3650 g (with bindings). 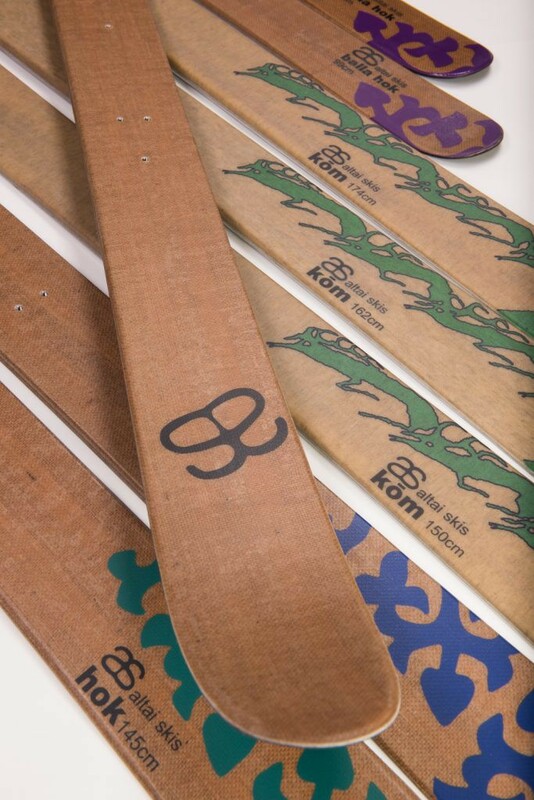 The ski come with inserts matching the extended 75mm norm hole pattern. 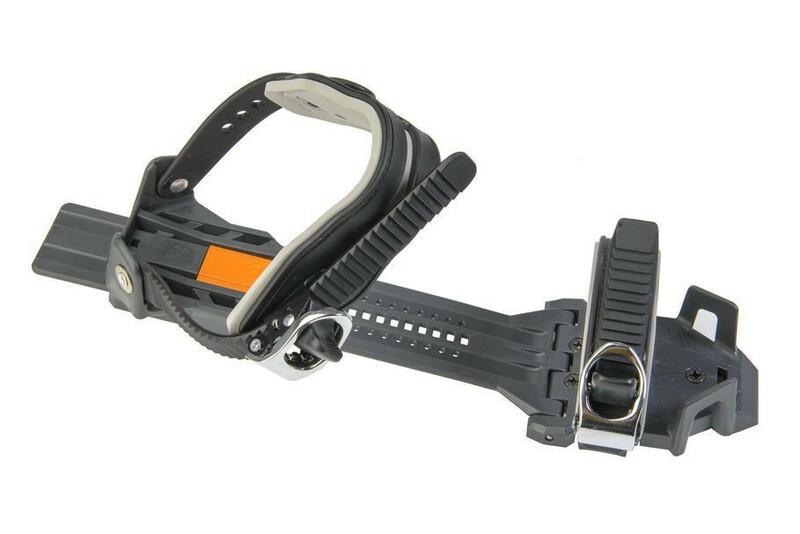 Sold with OAC EA Bindings. The Hok will ber available in two sizes, 125cm and 145 cm. For skiers over 90Kg, that are fortunate enough to oftern find themselves in deep unconsolidated snow, the 145 cm would be a good choice. For children the Hok 125 with X-Trace Kid is great solution. The name "Hok", is the Tuwa word for ski in the Altai Mountains. The Tuwas are the smallest ethnic group in the area and the most dedicated skiers.